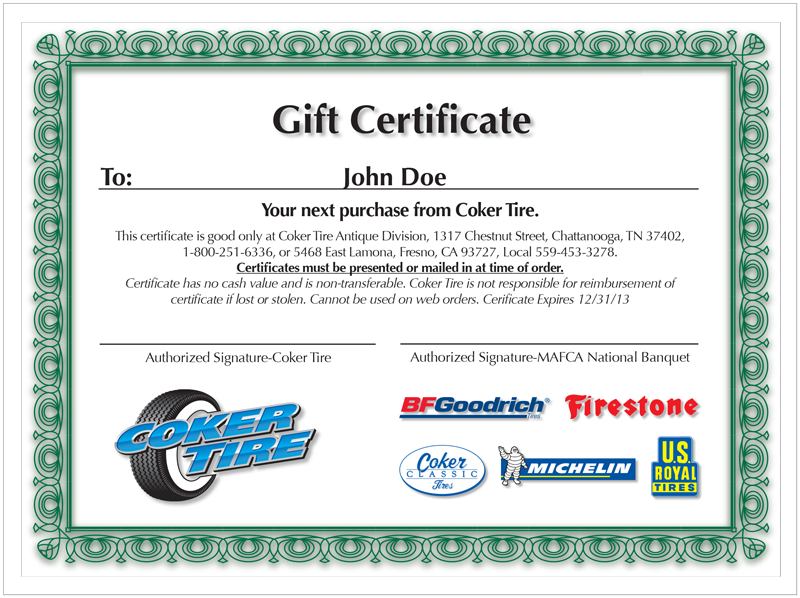 No matter the size of your budget you can give the gift of Coker Tires year 'round with a Coker Tire Gift Certificate. Available here in an assortment of popular amounts, simply specify the name of the recipient in your order notes and the gift certificate will be personalized for the recipient. If you would like the certificate delivered to the recipient, be sure to enter their address info in the ship-to fields at check out. Giving couldn't be any easier!